Download, print, and handout the Night Walk 09 poster. This entry was posted in Bring Me Hope News on April 28, 2009 by admin. This entry was posted in Bring Me Hope News and tagged Night Walk on April 22, 2009 by admin. You might have heard rumors that Bring Me Hope was in Europe, and it’s true! David and Jason Bolt visited Claudia Munoz (who will be involved with the Ranch Project) in Italy during early April. This entry was posted in Bring Me Hope News and tagged Tour on April 13, 2009 by admin. They have dusted off their suitcases, again. 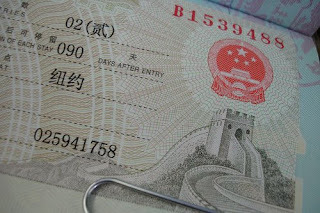 Updated China Visas are fresh in their passports. It’s almost time for the Mike and Cheri Mordick to pick up their third adopted daughter from China. “Our agency told us that Yangluo (soon to be Maggie Yangluo) will be moved back into the orphanage from her foster mother. They say this is best as Yangluo won’t blame us for taking her away from her foster family. We’ve sent her a care package with clothes, candy, girly things and the most important thing….a photo album of her home and family. So, Yangluo knows that we are coming to get her in the “spring”. We know that her translator at the Bring Me Hope camp (Vincent) told her that she will have a good family in America, but I cannot help wondering what is racing through her mind right about now. I pray the Lord fills her with peace and happiness and a love for us. I can imagine that this can be a frightening thing for a young girl. Hopefully, much of this will be taking place within the month. We pray we can leave on May 1 if the paperwork comes though. We are awaiting the Article 5 to be approved by the US embassy in Guangzhou, Guangdong. Once that is approved (sometime this week I hope! ), then the courier will send all of our paperwork to the CCAA in Beijing. They will then, at some point of their convenience give us TA (travel approval). That part could days days or weeks. We’re praying only days, though. Once our agency receives that TA, they will make our appointments for us and hopefully travel some time in May. This entry was posted in Bring Me Hope News and tagged Adoption on April 2, 2009 by admin.